Your wedding venue is one of the most important factors in your wedding planning. In fact, it is the most important, and the first thing to consider. Everything else will rely on your venue choice, such as the ceremony, the transport, the food, the accommodation, the music, and so much more. The availability of these places is often what determines your wedding date, so it should be the first reservation you make. Not to worry, though, these 5 steps will guide you through the exciting yet important process of choosing your wedding venue. 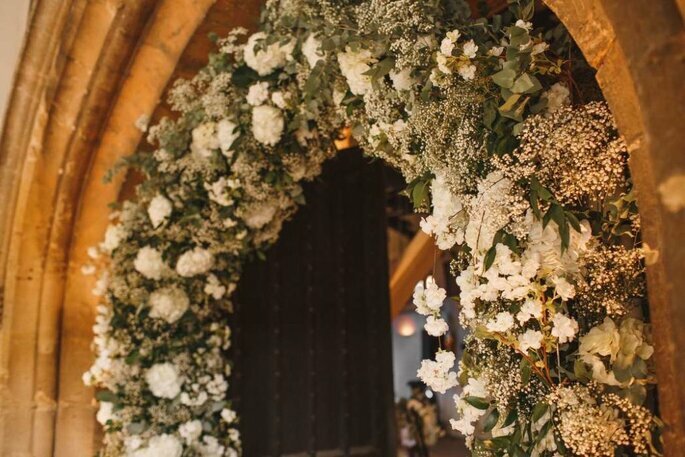 We spoke to Krissy from Sweetpea & Blossom, who told us that when you begin searching for your perfect venue, it’s important to be conscious on the feeling you get while you’re there. The true test, as she says, is when you see the venue in real life, rather than through the computer, and you can imagine decorating and transforming it into the exact location you’d like for your big day. Geographical situation and accessibility: although many couples choose a venue close to home, others decide to pack their bags and try their luck abroad. In any case, you should think about the accessibility of your venue to make things easy for your guests. To do this, take into account all possible means of transport, and consider providing vehicles for long distances. If you’re interested in a destination wedding, Cinnamon Hotels and Resorts is the perfect option as you can celebrate your big day on a diverse island, with everything from ancient Buddhist ruins to rainforests and sandy beaches. Getting married in Sri Lanka is seriously something to think about if you want to really treat your guests. Distance from the ceremony: try to make sure that the ceremony and the reception venue are not too far away from each other. 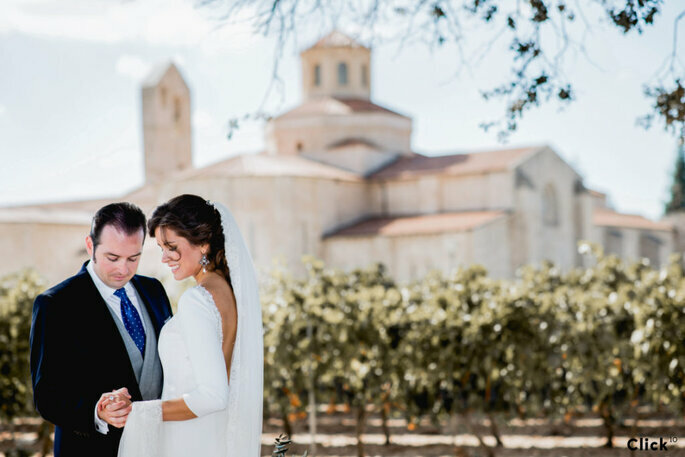 In fact, you could take advantage of the fact that many wedding venues such as country hotels or castle venues include chapels or ceremony spots for civil marriages. Distance from accommodation: There will always be guests who need a place to sleep, since many come from far to be there for your special day, and others want to stay the night to avoid having to drive. To do this, contact nearby hotels and try to organise a special price for group bookings. If you’re looking for a location with ample accomodation for your guests, then Castilla Termal may be what you’ve been looking for. This extraordinary five-star spa hotel can offer you 79 luxury rooms close to its 2,000 square metres of thermal area. This area includes different pools, circuits, and treatment cabins, so you will certainly enjoy your wedding the way you always wanted to. Total area: Make sure you aren’t paying too much for an excessively large place if you don’t have enough guests to fill it. Ask questions about capacity and the measurements/size of the venue. 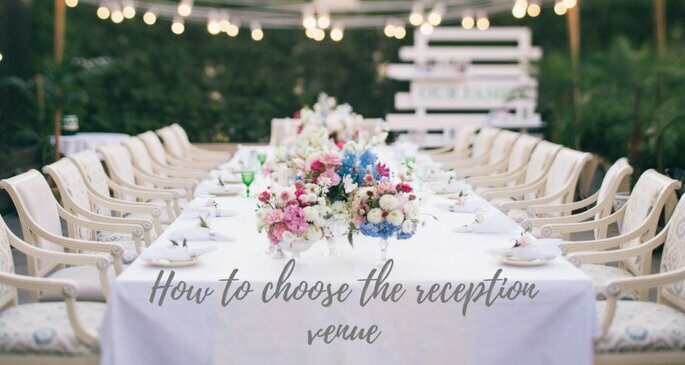 Outdoor and indoor areas: different rooms can provide the perfect environment for different moments of the wedding, from the aperitif and the banquet to the dancing. If it’s likely to be good weather, champagne and canapés on the lawn is always a must! 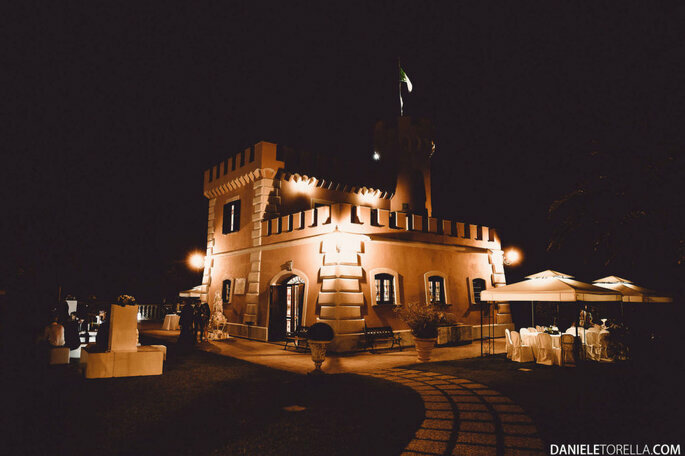 Or if you’ve opted for a destination wedding, of course you’re going to be hosting an outdoor affair, like the beautiful natural reserve at Il Castello Borghese that spreads along the sea for 11,000 square feet, facing one of the most stunning views. Alternatives for bad weather: the weather can ruin a great day if you are not prepared in advance. Don’t trust the weatherman and look for a space that has alternatives. With two options available, you will stress a lot less! More than one wedding a day: try and find out if your chosen space will be hosting more than one celebration at the same time. It is of vital importance because the organisation of the places, with the provision of rooms and gardens, should be very clear to avoid mishaps. Limits: if you are sharing the space with other events, make sure you know the limits and if they provide you with adequate privacy. Choose your venue based on this aspect, because a wedding should be intimate and not confusing for guests/staff! 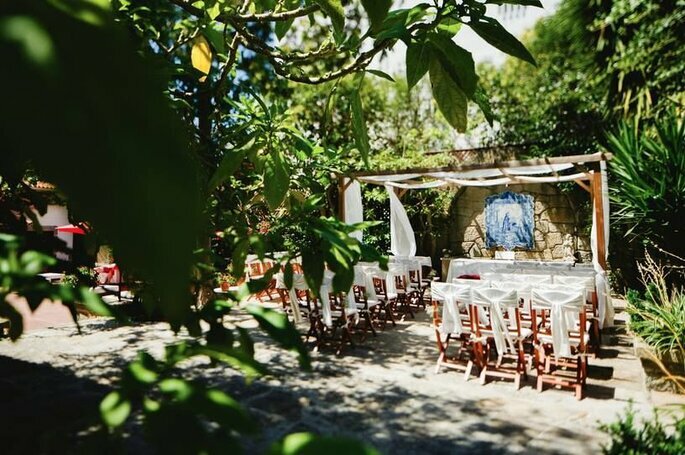 If you’re looking for a comparatively small venue that can hold no more than 180 people, Quinta de Segade may be the perfect option for you. With beautiful, exclusive gardens that gives just enough space for you and your loved ones, they can tunr this space into the backdrop you’ve always been looking for. Exclusivity: how many hours are available? All venues have their schedules, even more so if several weddings are organised on the same day. You will need to know how much time you have and how long you have to both set up and clear away. 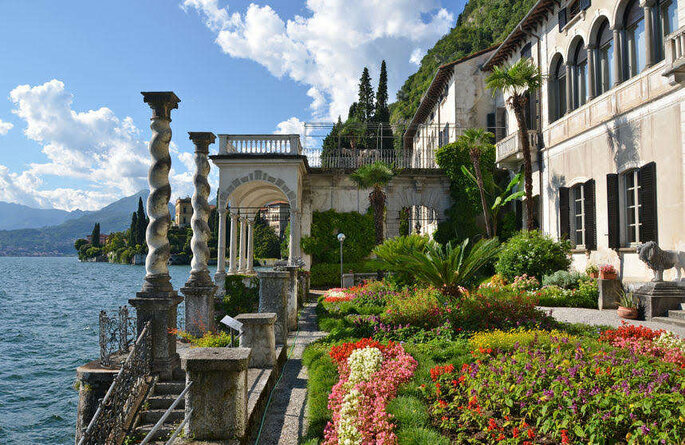 if you are interested in marrying your loved one against the panoramic views of Lake Maggiore, then Castello dal Pozzo is the perfect choice for you. On your day you’ll be able to decorate this beautifully restored 18th-century castle and make the most of the green areas that surround this exclusive location. Minimum of guests required: many spaces allow the celebration of all types of weddings, no matter how small or large they may be. However, others don’t accept extremely intimate sized weddings, since they usually gather huge numbers of people and work on a minimum per head cost. Since each wedding depends a lot on the guests, ask the minimum of these allowed and assess if the venue is suitable. Normally wedding planners are great for finding out things like this. If you hire a local wedding planner, chances are they will have worked with the best locations in the surrounding areas, especially if you are organising a destination wedding. Blu Garenia are highly knowledgeable about the locations available in the south of Italy, and they are always happy to chat to engaged couples! Take a look at their profile if you’re interested in an Italian wedding! Likewise, if you’re looking to get married on the Aeolian Islands, just off of the south of Italy, then Wedding Eolie is the perfect choice. Born and raised on the island, she knows it like the back of her hand! Capacity: also, it’s important to know the capacity of the venue. If you’re hoping for a large number of people, it’s better to assure yourself of the capacity before booking the venue so that you don’t have to eliminate people for space. This must adapt to your wedding. If you’re looking to secure a location that can be sure on their capacity, you may want to check out Casa dos Arcos. Their indoor and outdoor areas are surrounded by spacious gardens, fully equipped with every thing you need for a beautiful day spent with up to 300 friends and family! How far in advance the guests are confirmed: this information will be used to make your final guest list. When you know the day limit, you must be prepared to give a number. Make sure your guests know the date that they should confirm their attendance by, and work with the venue to accommodate this. Free bar prices: a free bar may sometimes be included in the package price for your venue, but more often than not, you should check bar prices and ask about the conditions of a fixed price. Including everything in the same budget saves you unnecessary extra costs. Decoration and lighting: these are very important. Does the venue come with a team of event professionals? Do you have to hire wedding planners or decorators separately? Keep in mind that many places add their own wedding planners or events team as an extra service and the price will vary. Setting up services: when setting up the tables and the different spaces for the party, make sure you have ample time and flexibility to ensure that everything is to your liking. You shouldn’t settle for second best on your big day! Security and parking: do you want to avoid any interference from others? Consult the security services offered by the venue, from specialised personnel to gates or doors that limit the passing through of non-guests. Also, of course, the check how guests can park their cars or retrieve taxis. In case of lack of space, you should think of a plan B so that the guests arrive smoothly without any chaos. Cancellation insurance: at a wedding you always have to be proactive and prepared for the worst, due to the sheer cost of it. And although it’s normal for everything to go according to plan, there may always be unforeseen events that mean a cancellation is necessary. So, check if the venue has a cancellation service that returns a deposit or at least half of your expenses.